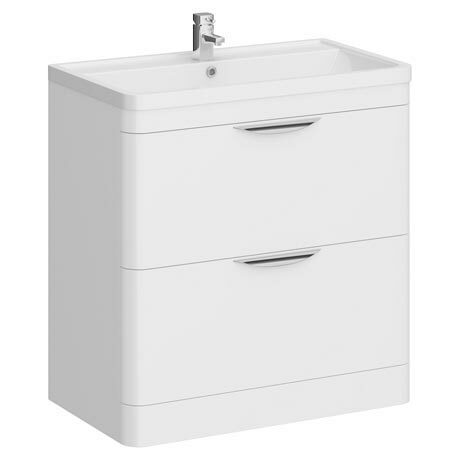 The Monza 800 x 445 Floor Standing Basin Unit with Poly-marble basin top, modern Bathroom Furniture with a rounded corner design. Make the most of your bathroom with our practical and attractive furniture options. Give a contemporary look to your bathroom. 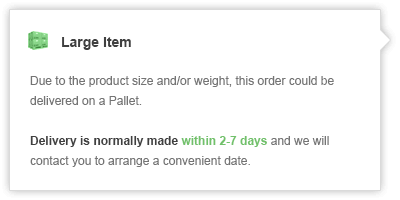 Great product and size quick delivery and drawers are a great size. From seeing the pictures on the web site the purchase was a bit of a gamble but when the unit arrived it was clear that it was worth the relatively high price. If the description had been more in depth future buyers would appreciate the build quality with very smooth open drawers which also feature self closing mechanisms. The sink is good quality and the overall appearance in the room is stunning. This appears to be a very well built unit and looks really good along with some other matching units. Great price, quality and delivery from Victorian Plumbing.